Protecting personal information is just as important to individuals as it is to any business. Once your garbage hits the curb it’s legally public property—leaving your information vulnerable, especially if it hasn’t been shredded. That’s where Shred Nations can help you. 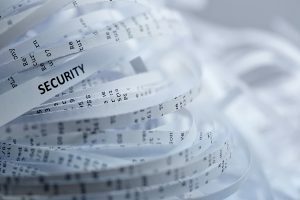 Here, you can get information, tips, and tricks to protect your personal information with secure document shredding services. We’ll also offer important steps and ways to organize your personal information to help minimize the chance of an identity thief gathering your information and using it against you. Learn about ways that you can shred paper at your house, from recommendations on personal document retention to choosing a shredder for your home. We also offer tips and advice on ways to ensure your personal information is protected when you dispose of it properly. If you need help determining what service you need to use to shred your documents at your home or if you’re considering hiring a service, this section’s for you! Get Free Quotes on Residential Document Shredding today! Here are three home shredding services you can use, no matter if you have a few boxes or a garage full of paper. Mobile Shredding Service: Shredding is done at your home while you watch. Ship ‘n’ Shred Service: Paper is picked up at your home and taken to a secure plant for shredding. It’s great for small volumes of documents. Drop Off Shredding: You take in paper to be dropped off at convenient collection points. Shredding trucks come by on shred when the bin is full. If you need help choosing the best solution for your situation, we’re glad to help! Shred Nations partners with certified and reliable shredding companies throughout the U.S. Call us today at (800) 747-3365 or fill out the form on the right to get free no-obligation quotes from document destruction providers in your area within minutes.